Sundance cream (<?xml:namespace prefix = st1 ns = "urn:schemas-microsoft-com:office:smarttags" />Fox River) 118 gr., 28.5 x 25 cm., 72 pages. 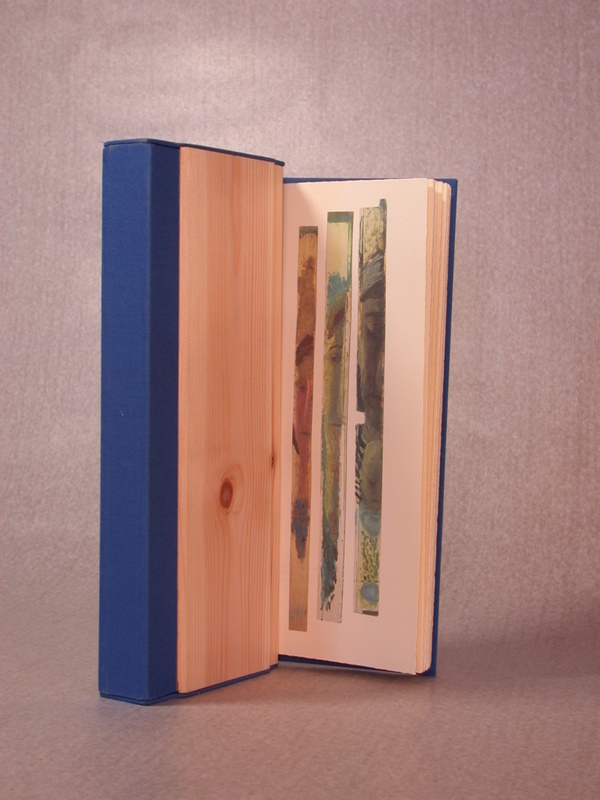 Full blue cloth binding in a unique slipcase with plywood. 65 signed and numbered copies, some slipcases painted by the artist.